The application was rejected by Michael Gove. The Lynx UK Trust had applied to release six Eur-asian lynx into the forest, and the application was put to Defra Secretary Michael Gove for his consideration. But Mr Gove has rejected the application following advice from Natural England on the basis that it “did not meet the necessary standards” set out in international guidelines for reintroductions and because Defra was not confident it would succeed. NFU Scotland welcomed the decision and said it would be welcomed by farmers in the Borders. 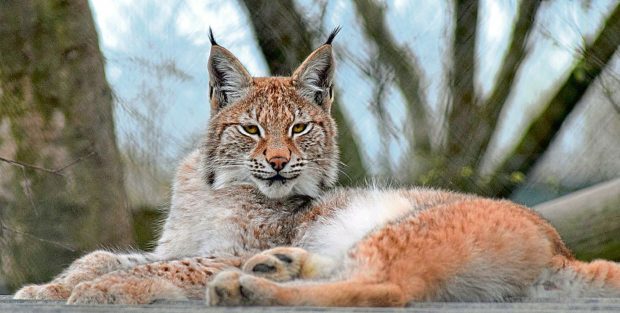 The union’s environment and land use policy manager Andrew Midgley said: “The decision not to release lynx into Kielder Forest will come as a great relief to our members in the Borders, particularly sheep farmers who had serious concerns over the safety of their livestock had these plans been given the green light. “It is clear from the secretary of state’s letter that there was insufficient, if any, engagement with farmers, landowners and the wider community and that the concerns of farmers were not meaningfully addressed. National Sheep Association chief executive Phil Stocker described the decision as a victory “not just for farmers but for the ecology of the area, the rural community and the farming economy”. The NFU in England also welcomed the news and said its objection to the reintroduction plans had similarly been based on concerns for livestock welfare.